We at Timber Creek Construction, Inc., recognize that a beautiful finished product is largely to the credit of each craftsman who had a share in the project. We have carefully assembled our team of tradesman, using only craftsman of exceptional talent, who share the same core values of professionalism, integrity, attention to detail, good communication, and value. Such ones who truly care about their work and are experts at their trade are deserving of credit, as they contribute to the success of each project. Some 35 years ago, Kevin Dolab, owner of Timber Creek Construction, Inc., developed a unique and exciting interest in the building and construction trades. It started with building creative tree forts and progressed to working part time in a local cabinetry shop while still in school. With this interest at heart, Kevin attended 4 years of formal trade schooling specializing in carpentry along with classes on drafting and blue print reading. By the age of 18, Kevin was recognized on the shoreline of Connecticut as a licensed home improvement contractor, building a good reputation that soon became noticed and appreciated. By the age of 24, Kevin had enjoyed 4 years in helping with the construction of a large commercial project in Patterson, NY, which would be used exclusively for the purpose of bible education. Among other wonderful benefits that came from working on this project, included valuable experience in working with heavy commercial construction, which included the use of tilt up concrete panels set in place with overhead cranes. Since that time, for the past 25 years, Kevin has specialized in residential construction, putting his experience and understanding of construction to good use in building homes of the highest quality. He lived in North East Georgia for ten years, where he owned and operated Dolab Construction. 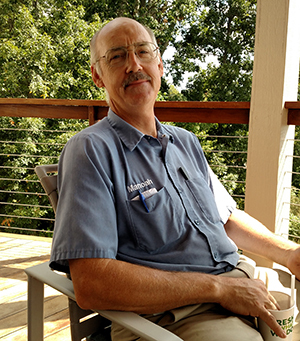 Having lived in the beautiful mountains of Asheville North Carolina for the past 15 years, Kevin has enjoyed building high end luxury homes, utilizing his strengths in the areas of team building, organization and project management skills, along with an inner drive for uncompromising quality. It is with these strengths that Kevin has built his company, Timber Creek Construction, Inc., and is proud of the reputation it has made for itself. 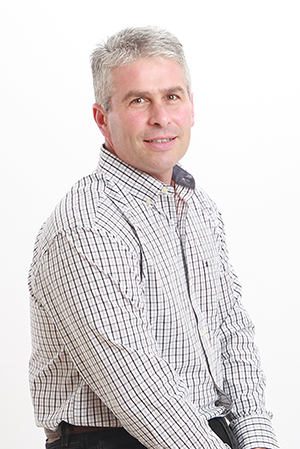 As a supervisor and skilled craftsman with more than 35 years of experience, Manoah Giese continues to make a significant contribution to our team and the success of our projects. He is known and appreciated for his pleasant way of working with clients and various tradesman, his good communication, and his versatile knowledge and experience of the construction trades. 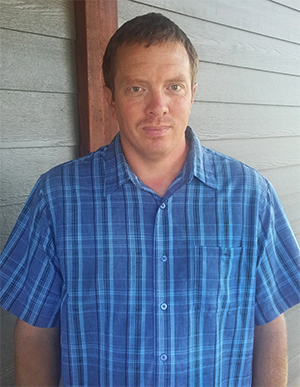 Manoah’s past experience include seven years living in Africa, working with native hardwoods. Perhaps this helps explain his passion for fine detailed finish carpentry. 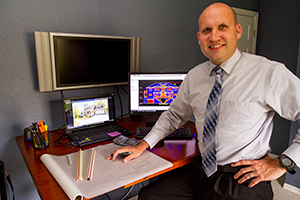 Dave Kondroski, owner of Kondroski Corp. has proved to be a valuable part of our team, especially during the initial design stages of the project. He grew up in a family construction business and started designing and drafting homes when he was 17 years old. In the 28 years since then, he has worked with clients to design everything from modest 900 square foot cottages, to elaborate 24,000 square foot estates. Although much of his business over the years has been luxury coastal homes in the Southeast U.S., he would tell you that his passion is mountain homes. This comes from growing up around the Great Camps in the Adirondack Mountains. 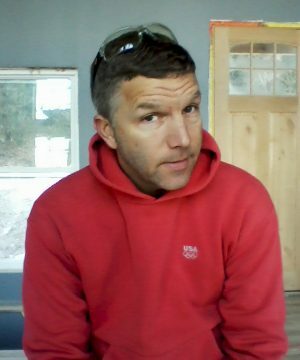 He has designed mountain homes, cabins, and renovations in North Carolina, Tennessee, Georgia, New York, and Oregon. In addition to designing lifestyle -oriented homes, he offers field investigation and as-built documentation of existing buildings. Dave has also demonstrated his talent in the area of photography, as he also offers imaging and photography services for the building industry, including aerial site and view analysis, construction progress photography, and fine-art building photography to showcase completed homes. 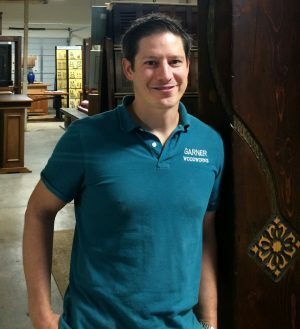 Josh Cairns, owner of Garner Woodworks, has become respected and appreciated not only for his quality built custom cabinetry and built-ins, but also for his talent with design. His input and creativity, having worked together since 2004, have been a welcome contribution to our custom homes. Josh has enjoyed a lifelong passion for design. He found architectural design, cabinetry, and furniture a way to express his interest. After pursuing schooling in carpentry, with emphasis on fine woodworking, he worked for several years for a general contractor in order to hone his skills in a variety of building categories. In 2000 he started his own business specializing in high end trim carpentry, built-ins, and other fine woodworking projects. Now with a team of skilled craftsmen he is able to bring a creative approach to each unique project. Still focusing on design and the individuality of the client combine with excellent craftsmanship, each job has the opportunity to be truly special. Josh Cairns, owner of Garner Woodworks, has become respected and appreciated not only for his quality built cabinetry and custom built-ins, but also for his eye for design. His input and creativity, having worked together since 2004, have been a welcome contribution to our custom homes. Duane Scholz has greatly contributed to the high level of finishes on our projects since 2005. His skills as a craftsman of fine custom woodwork are exceptional. From perfectly jointed crown moulding, to secret compartments, to beautiful staircases, and beyond, woodworking is his specialty. He thrives on building things to last, and takes pride in maintaining an organized set up with an impressive collection of tools. For the past 13 years, Ed Peachey, owner of Peachey Siding, has been a key part of our team, transforming the exteriors of our projects into a beautiful finished product. His knowledge of even the latest exterior building products and the impeccable quality of his workmanship sets him and his crew apart as true craftsman. Ed shares the same values and traits as the entire TCC team in that he is honest, dependable, a pleasure to work with, and is willing and eager to ensure that each job is done right, while paying attention to even the smallest details. Ed’s 20+ years of experience in the construction industry has been a fine contribution to reputation Timber Creek Construction has earned. Duane Scholz, owner of Scholz Home Works, Inc. has become a welcome part of our team contributing to the high level of finishes on our projects since 2005. His skills as a craftsman of fine custom woodwork are exceptional. From perfectly jointed crown moulding, to secret compartments, to beautiful staircases, and beyond, woodworking is his specialty. He thrives on building things to last, and takes pride in maintaining an immaculately clean and organized work place set up with a rather impressive collection of wood working tools.